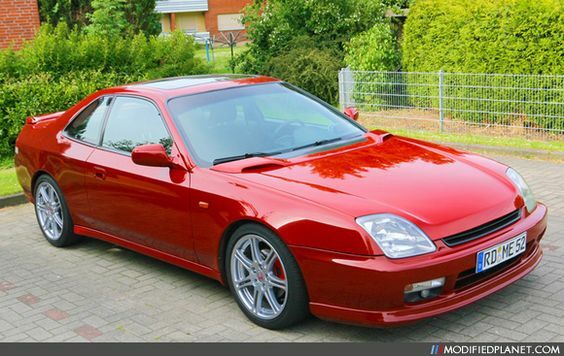 So I have only seen two pictures of a Prelude with CSX rims with no information whatsoever on it. They are a 17 inch rim originally for Acura vehicles and are still readily available. They take 5 lug nuts like the stock wheels on the Prelude, but does anyone know if these are just a straight forward bolt on? I am very new to modifications so I do not know anything about the numbers associated with rims other than the diameter. Last edited by Mitas; 08-23-2017 at 09:54 PM. Last edited by TypeT; 08-24-2017 at 03:12 AM. Possibly. They are so similar its hard to tell without looking at them in person. Acura is just a branch company of Honda, so it makes sense they would use the same design of rim for different cars. But the Civic rims are more expensive than the Acura rims. Last edited by Mitas; 08-25-2017 at 08:49 PM. A little off topic, but what is that air dam looking thing on the red lude? Not sure. I just got the image from Google. Anyone have any information on these rims fitting a 5th gen? The Civic rims are white. These are the Acura version which come silver. I am not sure if they made any changes for the fitment for these wheels. Acura is a branch company of Honda.